Few things in Montana so consistently prompt heated passions as the management of fish, wildlife and their habitat. So if you’re going to try to funnel that passion into fair decisions, you’d better be able to keep your cool. If you’re Dan Vermillion, it doesn’t hurt to also wade a cold stream to mingle with some of the creatures you’re trying to protect: Yellowstone trout. During his dozen years on the Montana Fish, Wildlife & Parks Commission, Vermillion has patiently overseen many changes in the management and abundance of fish and wildlife across a state as vast and varied as Montana. As a flyfishing outfitter based in Livingston and avid outdoorsman, he’s been happy to contribute considerable time and effort to the mostly volunteer position. But the time has come to step aside. At least for now. “Being on the commission for 12 years is a lot of work. 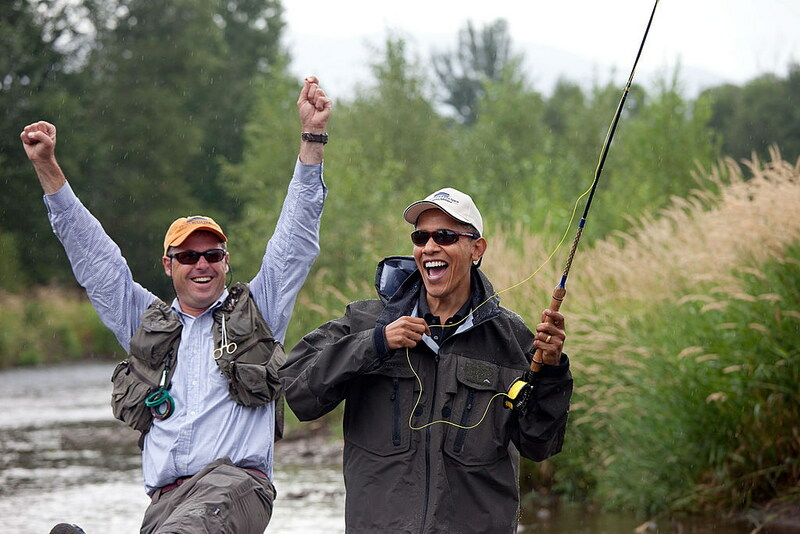 It’s been as much fun as anything I’ve done and the most rewarding thing I’ve done as far as public service. But it still takes its toll,” Vermillion said. For most of those 12 years, FWP commissioners would meet once a month – due to this year’s budget cuts, it was reduced to every other month – to provide citizen input into FWP decisions. The issues ran the gamut from debating the details of hunting seasons to approving land or easement acquisitions to deciding whether animal transplants should be carried out. Most issues go out to public comment after initial approval and for the next month, commissioners can often get an earful from those affected. Commissioners give a final thumb’s up or down after weighing all the input. Then they can still get angry calls for weeks after the fact. And they’re always on call for any FWP-related incident. “I’m looking forward to being home and not answering phone calls about a wolf that was shot outside Cooke City at 10:30 at night,” Vermillion said with a laugh. Fortunately, Vermillion was able to learn the commission ropes under the late Bob Ream, a former wildlife biology professor at the University of Montana. Vermillion ended up taking over as commission chair after the state Senate refused to reconfirm Ream. The wolf hunt was one of the more controversial issues during Vermillion’s tenure. A decade after hunts were allowed, the contentiousness between wolf opponents and proponents has only now subsided. As a wolf researcher, Ream was regularly attacked during commission meetings by ranchers and elk hunters who wanted to decrease wolf numbers with liberal hunting and trapping seasons. Vermillion watched Ream repeatedly invite public comments and listen calmly, even when they got personal. Richard Stuker of Chinook joined the commission six years ago as a representative of landowners and agriculture. Although the two men have different backgrounds, Vermillion and Stuker often found themselves on the same side of a commission vote and backed each other during discussions. 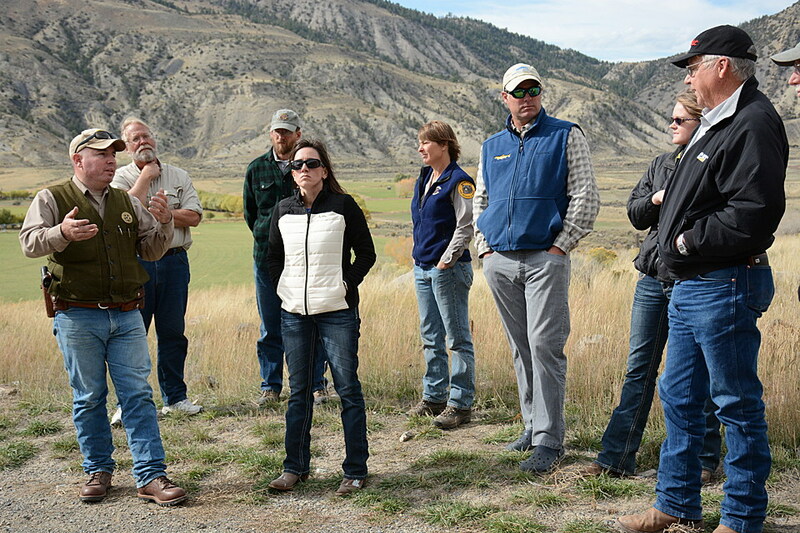 Stuker pointed to Vermillion’s effort to develop a plan to deal with brucellosis – a disease that affects cattle, elk and bison – that worked for both wildlife advocates and ranchers in the area around Yellowstone National Park. That showed Vermillion cared about all Montanans, not just a specific segment, Stuker said. But it’s not always easy to turn the other cheek when people send nasty emails. Both Vermillion and vice chair Stuker have had to remind commenters to mind their manners during meetings. The increasing lack of civility is one of the reasons he’s decided to leave the commission. Vermillion said he’s seen not only the public but also the Legislature become less willing to allow FWP to manage wildlife as it needs to. Every session, legislators sponsor more anti-wildlife bills and refuse to support FWP funding requests. A prime example is a mandate that requires FWP to manage elk numbers down to manmade population objectives. While too many elk can damage property, reducing herds is almost impossible when many districts are made up of primarily private land owned by people who won’t allow public hunters in. The current solution of hunting elk six months out of the year with limited hunter access hasn’t done much to ease tensions over the past three years. “It’s a good example of how micromanaging biologists can have unintended consequences,” Vermillion said. Vermillion said it’s one of the problems the future commissions and FWP need to solve by taking another look at population objectives and maybe amending the mandate to allow numbers to fluctuate within a range. It’s not known whom Gov. Steve Bullock will select to replace Vermillion as the Region 3 commissioner. His pick will have to be confirmed by the state Senate in April. Missoula FWP commissioner Tim Aldrich said Region 3, centered in Bozeman, has some of the state’s most challenging wildlife issues – from bison and grizzly bears to wolves and bighorn sheep, so Vermillion leaves some big shoes to fill. “Region 3 is kind of a big one, an important one. He was the man for the job,” Aldrich said. Vermillion said he volunteered to be a commissioner because of a strong sense that he should give back to the resource that gives him his recreation and his livelihood. As he’s worked closely with FWP employees, he’s seen that they too just want to be allowed to do their jobs to protect the species they manage.